Are you trying to organize the perfect holiday in the Italian style? Are you struggling to go on excursion on a typical Gozzo, to visit Capri in an unconventional way? Then we are the right people! We’ll provide you the best services at the best fares ever! From Capri to the Amalfi Coast whether you’re looking for a rubber boat or a luxurious boat, we’ll help you live your holiday in total ease at the discover of the most beautiful and inner places of our coast! Book your excursion or rent a boat directly from our website. Organize on your own the perfect day customizing every single detail. The proper way to visit Capri! A wonderful day on a de luxe boat between the blue magic water sea and the fascinating beauties of the island. 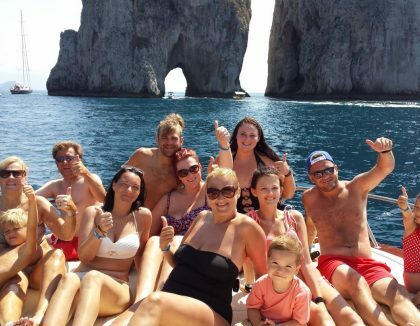 Join our boatride and explore the beauties of the Amalfi Coast from a different side! This coast, part of the UNESCO World Heritage Sites will leave you speechless!